A Facebook page post ad is exactly what it sounds like. It’s an ad based on one of your Facebook page posts. Could be a status update, link share, video, photo, Facebook Question, or whatever it is you’ve shared on your page’s wall. You can select any recent post you’ve made, provide the custom post ID of an old post or simply select “Most Recent Eligible Post” so that the ad will update as you update your page. Real quick, here’s how you find the post ID if you want to promote an older update… Go to your page Insights. Then find the post you want to promote in the list, click on the preview and then click to View Post. There will be two long numbers in the URL. Copy the second one and paste it into the field that requests the post ID. Okay, now let’s talk about using page post ads. I actually wrote a post called The Problem With Page Post Ads a few weeks back to address this. I ran a few ads that promoted my content to non-fans. One was a Facebook Question asking who had switched to Timeline. The other two promoted my article about the Hover Over My Name Hoax. All three received excellent click through rates. So what was the problem? Users participated, but they didn’t like my page. A total of 121 people clicked on these ads, but only four liked my page. So these were drive-by participants. I paid for ads to drive 121 people to quickly click on a Question or read my blog post. Most went to the Question. Value? Worth paying for? Nope. I originally created this fun little list with four bullets. Then I realized I only had two. That’s all I’ve got. And I’m also not convinced you’re going to have great success driving Event RSVP’s, purchases or registrations unless you have a well-known brand. That’s a big barrier, and Facebook ads are most successful for low barrier activity. So “effective” may be relative. But if you’re looking to get more people involved in an event or sell more product, this is one way to do it. Okay, now this is where it gets fun. To me, the times you want to target your own fans with page post ads fall into two buckets (no list needed this time): 1) To improve Edge Rank, and 2) To put value in front of fans. First, Edge Rank is what determines whether or not your update will show up in your fans’ news feeds. I know, you thought it always does. It doesn’t. If no one is participating in your posts, Facebook considers it worthless. And it may be. To overcome this, you may want to use page post ads to make sure your fans see your posts. Of course, it may be most cost-effective to use page post ads when you are promoting something of value. Let’s talk about an example. I have a Facebook marketing eBook. I’ve promoted it a couple of times on my Facebook page. But I hate being the guy who hammers his “fans” (still hate that word for my case) over their heads with product. So a good alternative would be using a page post ad that targets fans only. This way, that post doesn’t clutter up their news feeds (you’re sharing this AGAIN?! ), and I make sure to get it in front of as many people as possible who are most likely to be interested. One clarification: Whenever you pay for advertising of any kind, the reward needs to at least equal the cost. That’s why I hesitate to ever use ads unless I will get a new potential customer. That would most often be in the form of a like or registering for or buying a product. But that doesn’t limit you when marketing to your fans. Since they are the people most likely to buy, the barrier drops for selling product. 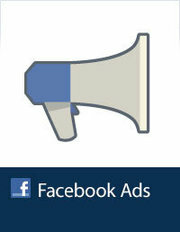 So feel free to promote Facebook Events, product sales and even items on your site (which I don’t typically recommend). If they are your fans, they’ll be much more willing do RSVP, buy and commit than a non-fan, making the ad worthwhile. So in conclusion, Facebook page post ads can be very effective, but the best times to use them are when putting something of value in front of current fans. How Have You Used Page Post Ads? So now it’s your turn. How have you used Facebook page post ads successfully? Did you target fans or non-fans?